Obviously, your kid will have a reaction to the breakdown of your marriage, and you might not be prepared for it. Your child might resent you or your partner. Some kids become clingy or even seem distant for a while. 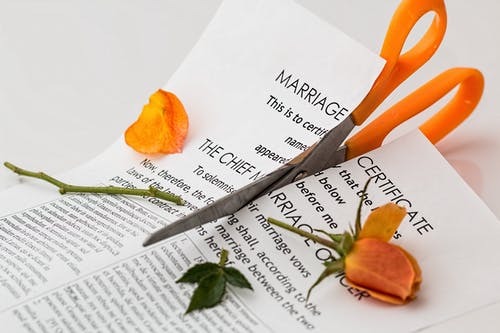 All of this can be difficult to deal with on top of your divorce issues. But you have to allow your kids to have emotional reactions to this massive event. You need to be there for them no matter what. Your unconditional love is what your kid needs most right now. When divorce happens, your partner that used to help you isn’t there anymore. And even though you think you can, you can’t do everything on your own. Your family and friends sort of expect you to reach out for help or even just emotional support during this trying time. Here’s a little known fun fact for you: it’s OK to be sad about your divorce. It’s totally natural, even if you didn’t have the perfect marriage. It can be emotionally draining when a relationship ends, which means that it will be a sad time in your life. Even if it you feel like you have to, you don’t have to pretend to be strong and brave all the time. Let your emotions flow and take enough time to process this ordeal. One day, everything will be fine again. But for now, it’s okay to feel sadness and sorrow for the loss. The temptation to speak negatively about your ex in the presence of your kids will all but consume you at times. But this isn’t a great idea. Right now, everyone is going through a very tough time. Your kids don’t need to feel like they’re stuck in the middle. And you can’t ever place them in a situation where they feel the need to defend their other parent. Always try your best to talk as civil as possible about your ex when discussing them around your kids. Keep the negative stuff to yourself.